One local technology-based company may have just the answer needed for lawyers working alone. Birmingham-based LexHelper has officially launched a technology based company aimed at alleviating some of the stress involved with office management, such as scheduling, billing and collections. The firm states that around 450 attorneys are admitted to the state bar association in Alabama each year, and of those, nearly half will go into a solo practice. 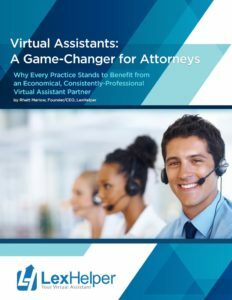 This results in juggling different duties to keep the office running, which is where Virtual Assistant comes in. The release also cited in the last five years, over 1,000 new attorneys have entered solo practices. Additionally, LexHelper will provide support via real-time answering professionals and a system aimed at reducing cancelled and no-show appointments. LexHelper professionals will also field common questions about the attorney, along with scheduling appointments and follow-up reminders. 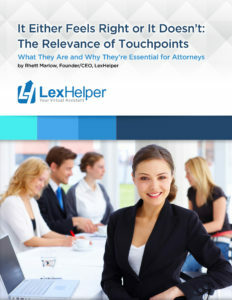 In addition, LexHelper also aids in the collection of initial consultation fees to ensure payment of the attorney. From the courtroom to the boardroom, we understand your business. Our team of business professionals includes attorneys, MBAs, engineers and entrepreneurs. We understand what you need to be successful because we have been there. We have developed the tools and processes to grow your business. Let LexHelper is your Virtual Assistant. Call us at 877.828.5546.